Northwest K9 Bed Bug Detectives is proud to serve the citizens of Seattle with top-quality bed bug extermination services. Are you unfortunately suffering from your first bed bug infestation? Did you employ the services of another exterminator, only to find that their work wasn’t effective in removing them from your home entirely? Northwest K9 Bed Bug Detectives is here to help! Employing a variety of services and methods, we can help in the successful removal and extermination of bed bugs in your Seattle home, apartment and beyond. Get in touch with us today to learn more about our Seattle Bed Bug Exterminator services! 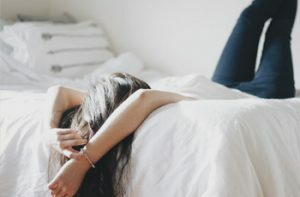 In part one of our blog series, we talked about a few things to keep in mind as college students prepare to vacate the dorms for summer. Wrapping it up in part two of our blog series, here are just a few more helpful tips for all you college students that are getting ready to exit the dorms this spring. If you do find bed bugs or possibly signs of them, it’s better to be safe than sorry. If you think that your dorm room or another area in your suite may have bed bugs, let your RA know immediately. Not only will it make things easier for everyone in your suite, it will also ensure that the possible infestation won’t get any worse and spread to other suites or other parts of the building. 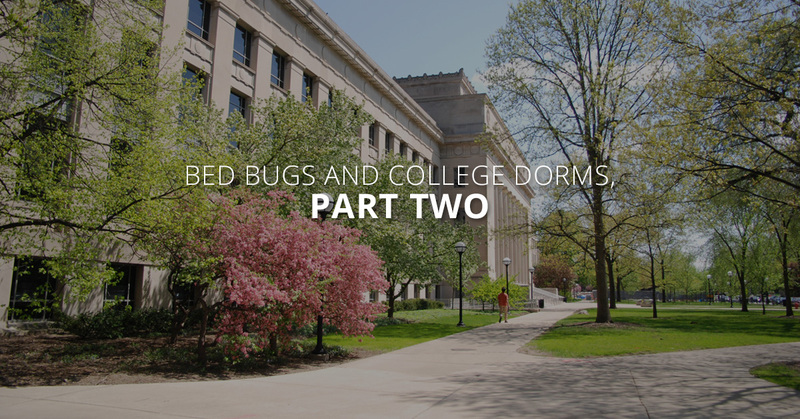 Bed bug infestations can come at any time, and even though the end of the school year is almost here, you’ve still got a little bit of time left before you can pack up and leave. The last month and a half is almost over, but even so, it’s important to keep a clean dorm room. Avoid clutter as much as possible, especially with clothes on the floor. The end of the year can be a hectic time with exams and final papers being due, but this is no excuse to get behind on your regular cleaning routine. Making sure that you vacuum often and keep up with your normal cleaning habits will ensure that you won’t end the otherwise successful school year with a less than fortunate bed bug infestation. Living with a person can tell you a lot about them, and chances are, there’s someone in your dorm suite who’s a bit on the messy side. While this, in theory, only affects them and whoever else they share a dorm room with, every dorm suite also has common areas that are used by everyone in the suite. With this in mind, it’s important to make sure that those common areas are kept tidy as well. Inspect the couches and other shared furniture to make sure that they are kept clean, vacuuming them as well as the areas around them. Even if you have a suitemate who isn’t pulling their weight in relation to cleaning of the common areas, be the bigger person and keep it clean, as your pride isn’t worth the possibility of an infestation, much less one coming with you to your next place of residence. Those are just a few more helpful tips for college students who are getting ready to exit the dorms this spring. 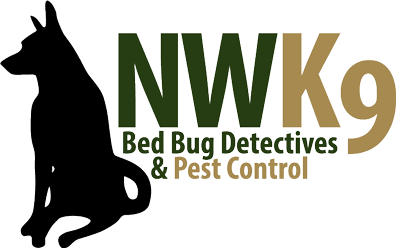 Northwest K9 Bed Bug Detectives is here to help Seattle residents with our top-quality bed bug extermination services. To learn more about how Northwest K9 Bed Bug Detectives can help you successfully remove bed bugs from your Seattle apartment or home, contact us today.